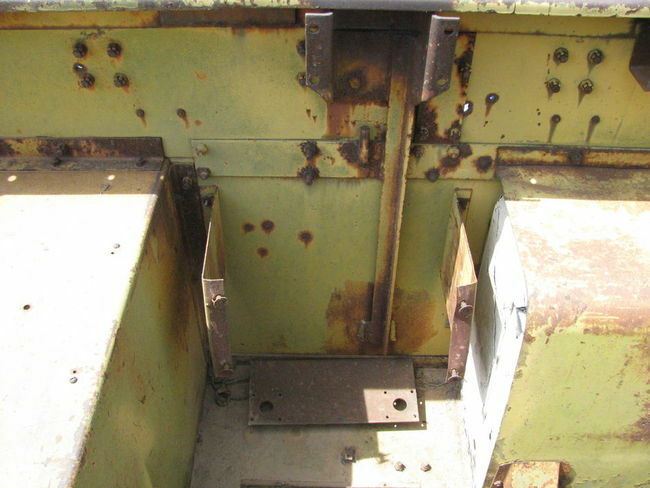 What are these angle iron members for on M2A1 rear armor? Can someone tell me what these angle iron members are for? 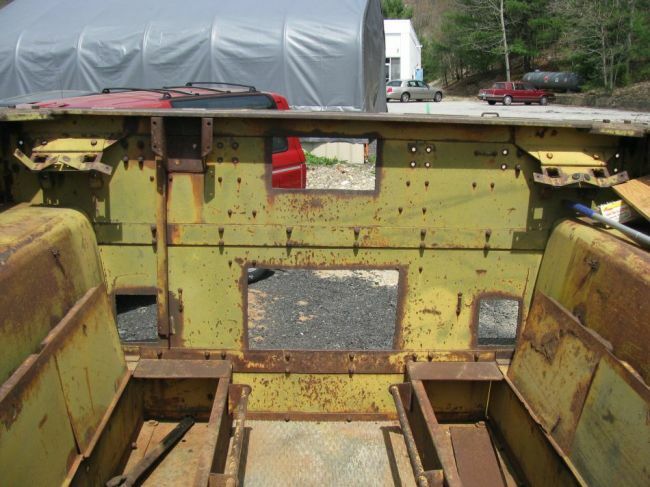 One's on the right side behind the seat back brackets and the other is on the right side of the rear armor. I don't have the rest of the armor – is there one on the left side also? Thanks. 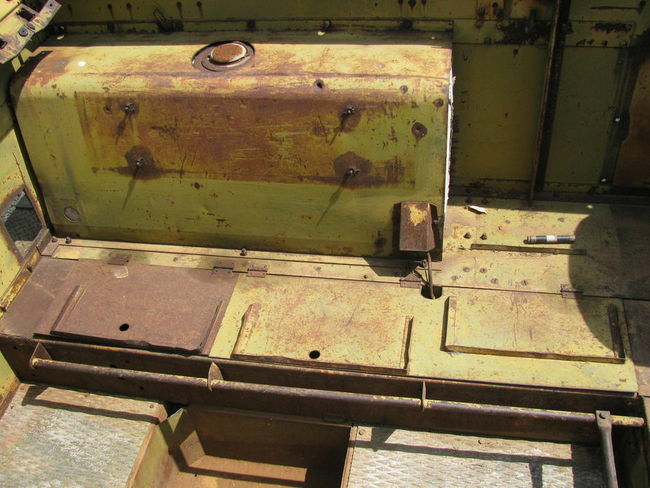 Re: What are these angle iron members for on M2A1 rear armor? I have these on my M2a1 that is a B&M rebuild. Ther is another on the left but it is different than the other two. I believe they used it for bracing after they removed the skate rail. The top plates were also welded in spots along the perimeter rail. I can get you some pics if it helps. Thank you guys. I see 'em in the book now. Gary if you have time to send a couple of pictures that'd be great. I appreciate it. Here's the pics. The rear and passenger side are welded to the MG bracket, then to a pad thet is welded to the lower plate. The Driver side is a little different and bolted to the top and bottom plate, it was also welded to the underside of the perimeter rail. Thanks a lot Gary. Wow – looking at yours reminds me how incomplete mine is! A lot of miscellaneous stuff to get! I appreciate the pictures. Hi Gary. Looking at your I noticed the support is welded to the outside of the bracket mine were all inside with the exception of the drivers side. I have one on the inside and one on the outside, must have been a Friday afternoon job . Here is a pic of the driver side one, and that is bolted to the bottom as the ones you have seen.